Evan Kitson, an instructor in PCA&D's Fine Art Department as well as an alumnus, illustration – class of 2010, starts nearly every single class at PCA&D the same way: with a demonstration of the concepts of the day’s lesson. “A couple of my instructors, when I was a PCA&D student, made it a point to do demonstrations. 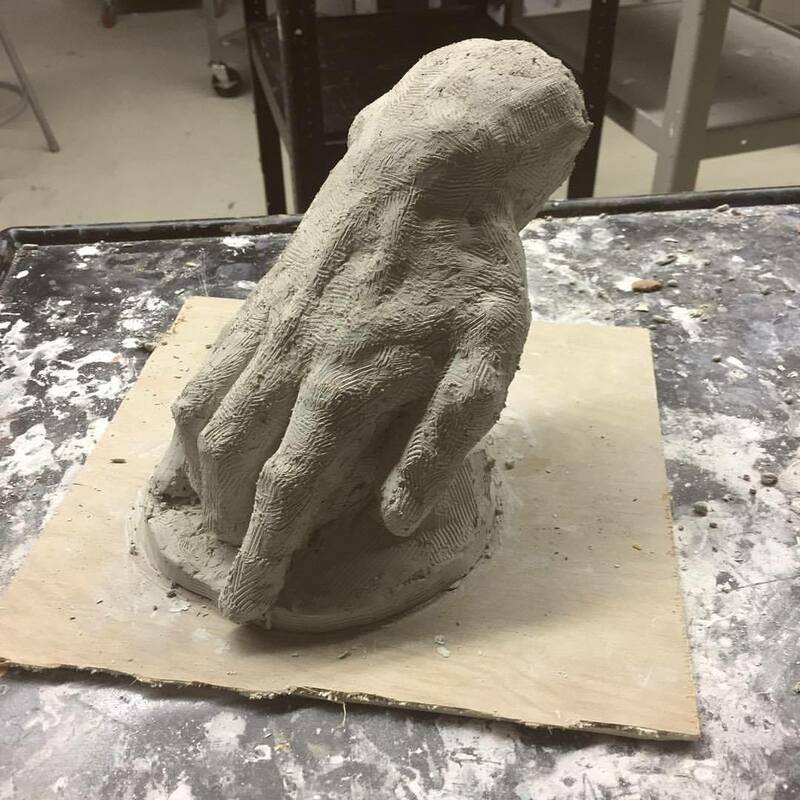 This was something that I found immensely helpful and absolutely necessary to my growth as an artist in my own right, both in and out of the classroom.” Evan said. Although he majored in illustration while at PCA&D, Kitson continued to study drawing and figure anatomy while in graduate school for Fine Art at the New York Academy of Art. 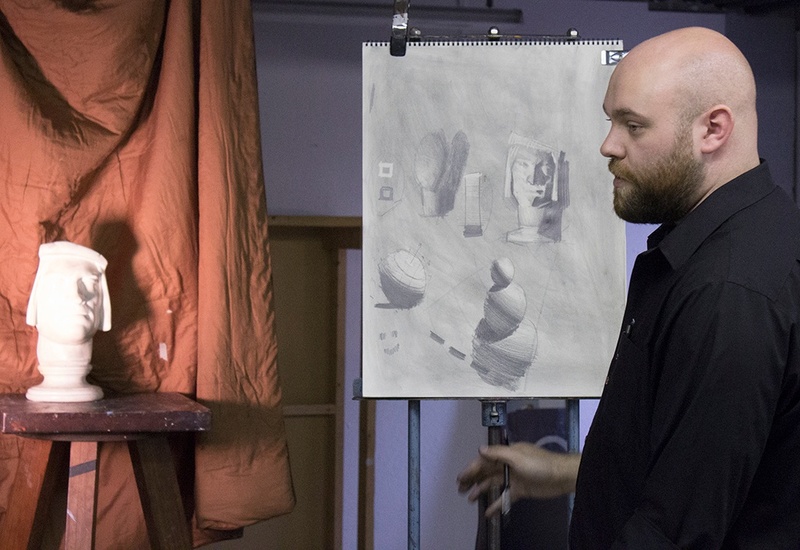 Midway through his MFA program, Kitson took a summer to study with renowned Norwegian artist Odd Nerdrum in France. 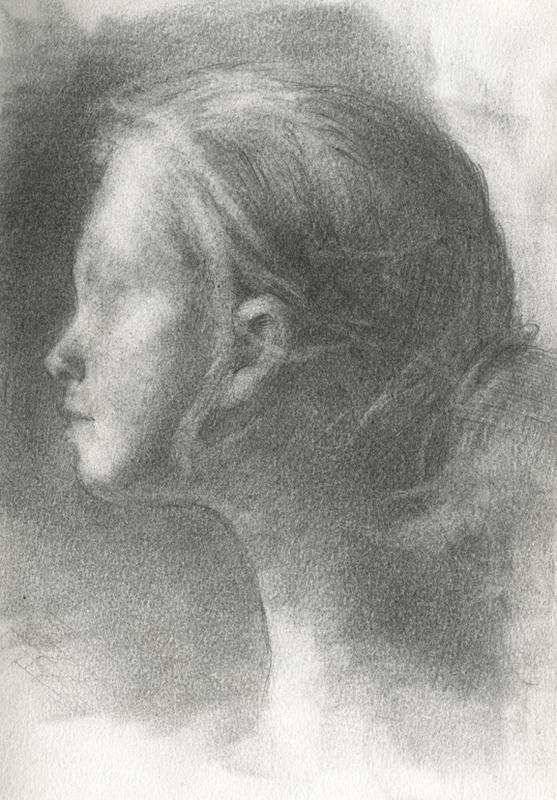 Kitson's work can be found in the book The Nerdrum School -The Master and his Students. Through studying with Nerdrum, he learned the importance of looking for design, and how to seek out what is only necessary within his subject. Kitson continues to prioritize working from direct observation in his studio practice, something he began to incorporate into his work during his years as a PCA&D student. 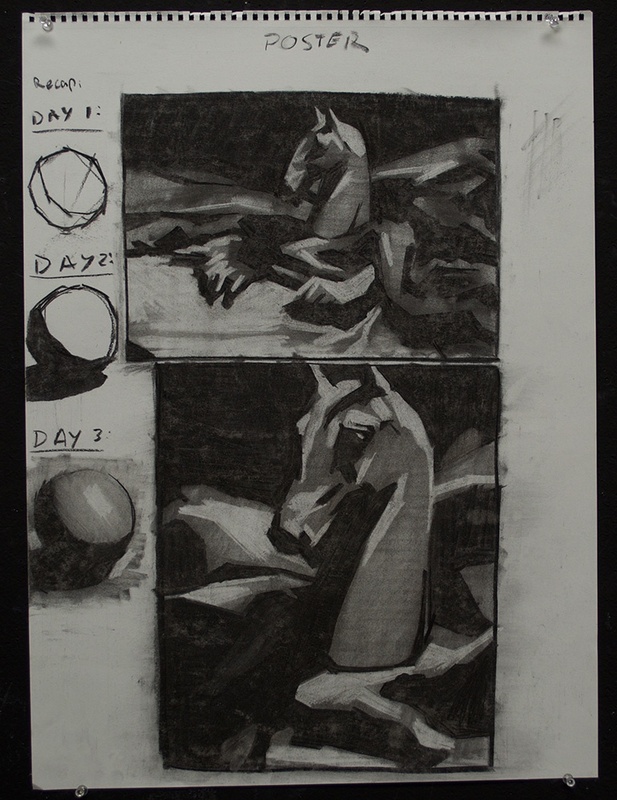 This semester at PCA&D, he is teaching the Fine Art sophomore level class “Sculpture: Observations and Interpretation.” In the fall he taught junior Illustration majors figure anatomy in “Advanced Figure I” and “Drawing From Observation: Form and Space” to sophomore Fine Art students. 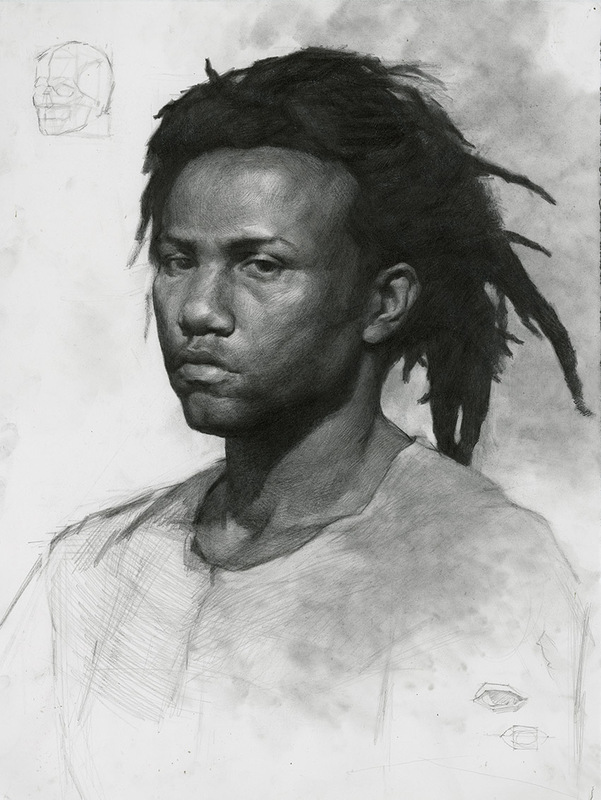 He also teaches in PCA&D’s Continuing Education Program, where starting Tuesday, January 30, he will begin a Tuesday evening Figure and Portrait Drawing class. Kitson has also exhibited locally, curating an exhibition at the Red Raven Art Company in 2016, and has taken part in recent Demuth Museum Invitational exhibitions. Evan, along with fellow PCA&D alumni and instructor Matt Allyn Chapman, will have an exhibition at the Ware Center later this Spring. Currently you can find Kitson’s work on display in his solo exhibition “Echoes” at Millersville University in the Eckert Art Gallery at the Winter Center.